It is the marketplace for successfully crowdfunded products. You’ll find an incredible selection of kickstarted products designed by visionary entrepreneurs and crowdfunded by awesome people. By purchasing from Outgrow.me, not only will you receive something awesome but you’ll help support a movement of creative design and empower a wave of hard-working startups. So today, we’re going to present you with 10 awesome products that you overseen, forgot or perhaps already heard about. Safety first, literally. HALO belt is sport safety belt that is illuminated by a patented LED system that utilises thermoplastic polyurethane fibre optics. Unfortunately Chief does not come with it, but visibility does. It not only illuminates you, it is lightweight and compact so unlike safety jackets, you can take it anywhere with you. A must have if you are night jogger, biker or raver. Continuing with illuminating products, Glowing Plants are exactly what the name says. 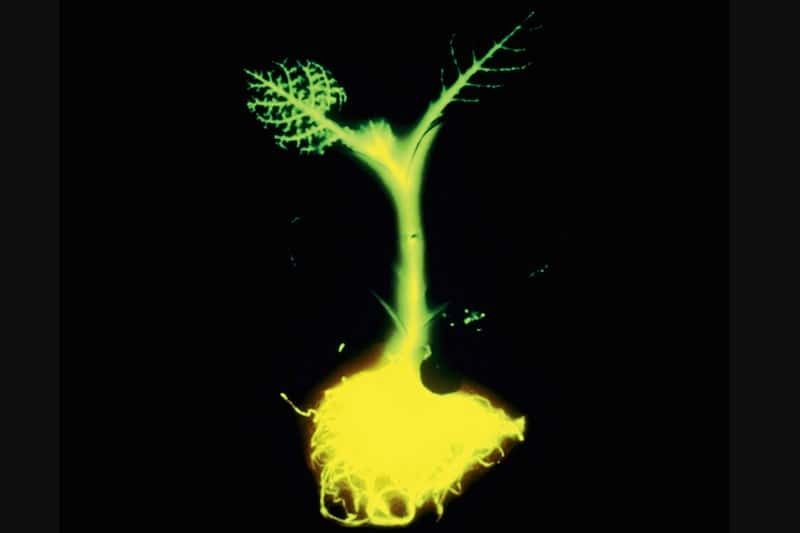 They are real glowing plants using the tools of synthetic biology and bioluminescence. Packet of seeds contains Arabidopsis plant which has been genetically engineered to include genes from a marine bacteria that will allow it to dimly glow. Soon you will say bye-bye to lightbulbs! Office materials can be annoying and here is a special place for pencil stubs. Sprout Pencil is making those useful. Sprout is a cedar pencil that will be a plant when it grows up. When a water-activated seed capsule at the tip is exposed to moisture it begins to degrade. It releases one out of eight types of seeds within Sprout and starts its germination. Useful pen, but don’t chew its tip. Speaking of office, we all sometimes become slouch potatoes. LUMOback is here instead of our mothers to correct us and out postures. It is a sensor and mobile app. The sensor, that is embedded in belt, provides a gentle vibration when you slouch to remind you to sit or stand straight and app gives you visual feedback wether you’re sitting, standing, walking or running. When it comes to time out of office, nothing beats feeling of grass underneath your feet. But, we are not always lucky to have grass in our vicinity or weather smiling upon us. However, with pair of Groundwalk Sandals you can have that blessed feeling in your home. They are made with synthetic grass, rubber and durable foam, that is similar in texture to real grass. To keep you in track with time, you will need Pebble. Before Apple introduced their smartwatch, there was Pebble. It is crowdfunded and highly customisable and it works with Apple and Android powered products. It has high resolution e-paper display, which is great if you are outdoorsy person or just love the sun. There are tons of other applications so it tells more than time. When you don’t need to track time and you want to relax and enjoy, there is no better thing than music. Combining new and old school with smart design, Berlin Boombox is cardboard stereo sound system for iPhone, iPod or any MP3 player. Printed with black and white graphic art by Axel Pfaender, it has a 2×5 watts stereo amplifier and it comes in a flat-pack assembly kit. From listening, to playing music, we present you gTar. It is a fully digital guitar that enables anybody to play music quickly and easily with the help of LEDs and a docked iPhone. It is great if you are a beginner, because it illuminates each note that you have to play, so you can learn to play them without any prior knowledge or education. Learn them by heart and impress your peers. If you are less of an audio and more of a visual person, CineSkates Camera Sliders is just for you. It is a portable tripod slider system that enables fluid, rolling video without the hassle of bulky camera gear. Today, it is not a problem to get gear that has some snazzy resolution, but it is problem to have fluid movement and this solves majority of your stabilisation problems. If you want all of the interactivity, sound, visuals and movement, Omni is for you, especially if combined with another kickstarted and now famous Oculus Rift. Omni enables you to move naturally and freely in virtual worlds and blurs lines between real and virtual. Without moving parts, it is smaller than some exercise equipment. Forget Wii, this brings real movement into gaming!